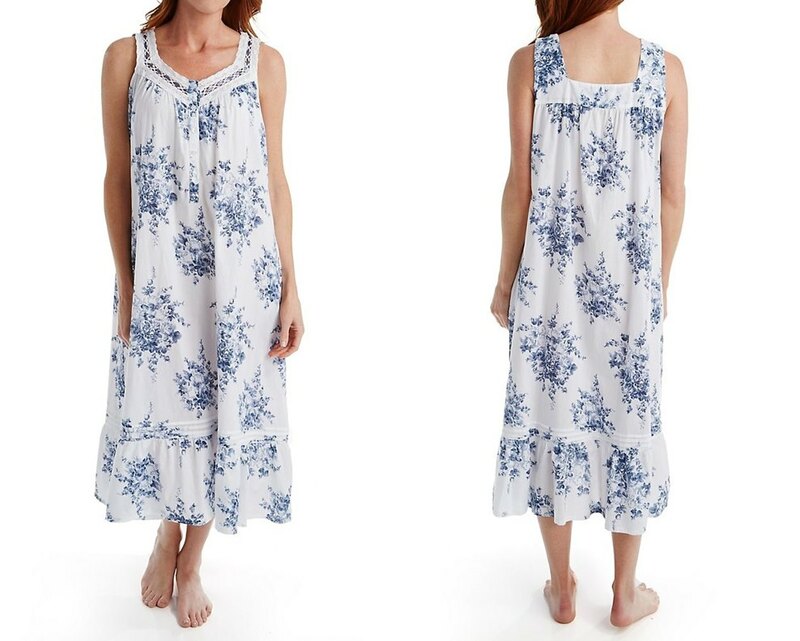 Sleepwear Gown - If you’ve ever experienced frustration trying to find a nightgown that’s actually flattering to your shape, you’re not alone. Many women end up wearing a nighty that doesn't fit or do their figures any favors. Try several styles - What you think might be the perfect style may fall short of your expectations once you’ve actually put it on. Avoid going home with the wrong gown by taking several styles into the fitting room at a time. You may be surprised at some of the different looks that you love, but you’ll never know until you try. Show off your shape - A night gown that fits like a sack doesn’t look good on anyone. Why hide your curves in shapeless sleepwear when you can look for a nighty that defines the waist, hug your bust, or have a low scoop neck to show off your décolletage. Look for womens nightgowns that incorporate elements that will embrace and reveal your unique curves, not hide them. Reveal a little skin - Wearing a long night gown doesn’t have to mean covering yourself head to toe. Cast modestly aside and dare to bare some leg with a thigh high slit, show off your arms in a sleeveless nighty style, or try a low V-neck style that reveals a hint of cleavage. Showing a bit of skin breaks up the lines of a long gown and creates a figure that looks longer and leaner. Whether it is luxury lingerie or cheap lingerie, items placed in a washing machine are at an increased risk for rips and tears. If the label recommends machine wash and you're not sure, opt for a mesh garment bag on a gentle cycle to guard against damage. Hide your figure - Avoid any womens sleepwear styles that are tent-shaped or have enough fabric to make a set of drapes. Too much material and boxy cuts will make any woman look shorter and wider, instead of showing off her shape. Cover your best assets - A long gown doesn’t mean you have to totally cover up. In fact, styles that hide your best body parts should be avoided. Look for sleepwear for women that plays up your favorite areas, whether it’s a slit to reveal your long legs, a sweetheart neckline to show off your collarbone, shoulders and décolletage, or a smocked bodice style that hugs your bust. Choose the wrong fabric - Sleepwear for women comes in anything from flannel to satin, so consider your body type when choosing a fabric, as well as function. 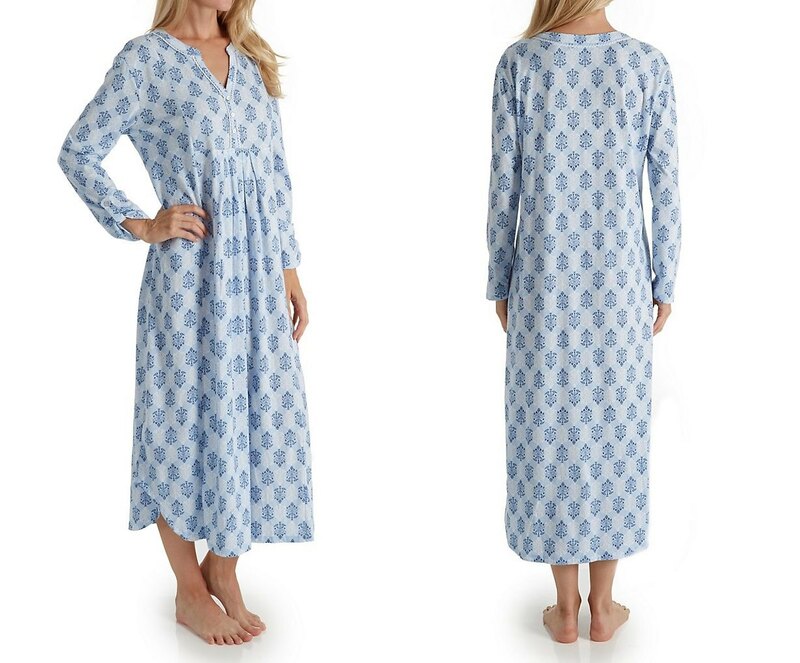 Shiny satins can highlight problem areas so wear night gowns in this fabric on areas you want to show off, not hide. Silk sleepwear looks and feels sumptuous, stretch microfibers feel plush and pampered, and classic cottons feel fresh and clean. Choose something that works for your look and lifestyle. Opt for bland styles - Nightgowns and sleepwear are the perfect way to experiment with new colors, prints, and fun styles. Avoid boring or bland night gowns in favor of colors that brighten your complexion, prints that bring a smile to your face, and trims and details that make you feel special and spoiled. Turn any night into a celebration when you treat yourself to glamorous sleepwear gowns that you love to wear.